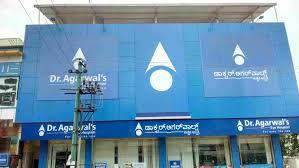 Bengaluru: In a mode to expand, Dr. Agarwal’s eye Hospital, is expecting to add four more eye centres in different localities of the region. It recently launched its sixth fully equipped centre in the state. The Q2 results for the company recorded a total income as Rs 39.32 crore for the quarter ending 30th September, more than Rs 36.73 crore, which was recorded last year for the same quarter. For the fiscal year ending March 2016, the statistics were recorded as Rs. 137 crore. Across the globe, the hospital has about 70 hospitals spread in India, Africa, East Asia and The Indian Ocean Region. The total number of its centres in Karnataka itself is 12, after the recent launch. It has six centres in Bengaluru and 15 centres in Africa.